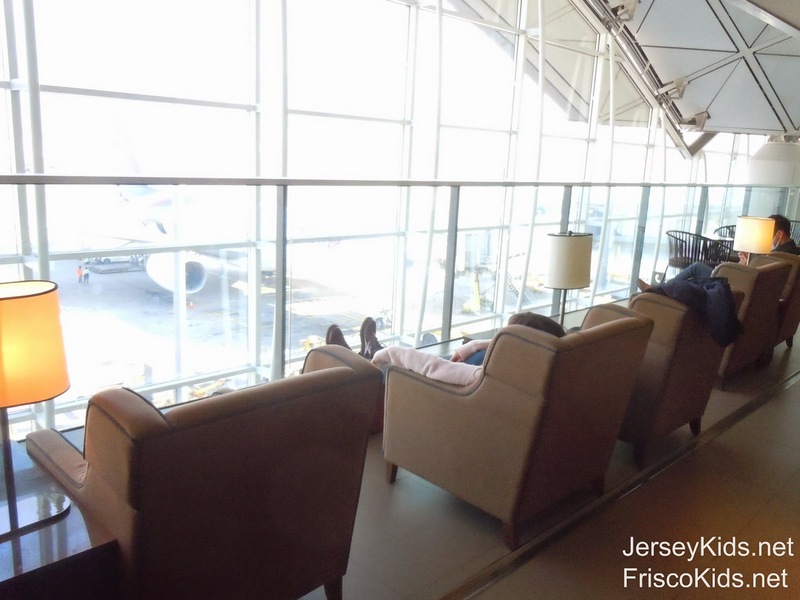 I recently spent some time in Asia, including 4 hour layovers in the Hong Kong International Airport. While my kids weren't with me, I looked around to figure out what I would do with my kids if they were. Fortunately, they would not have been bored! 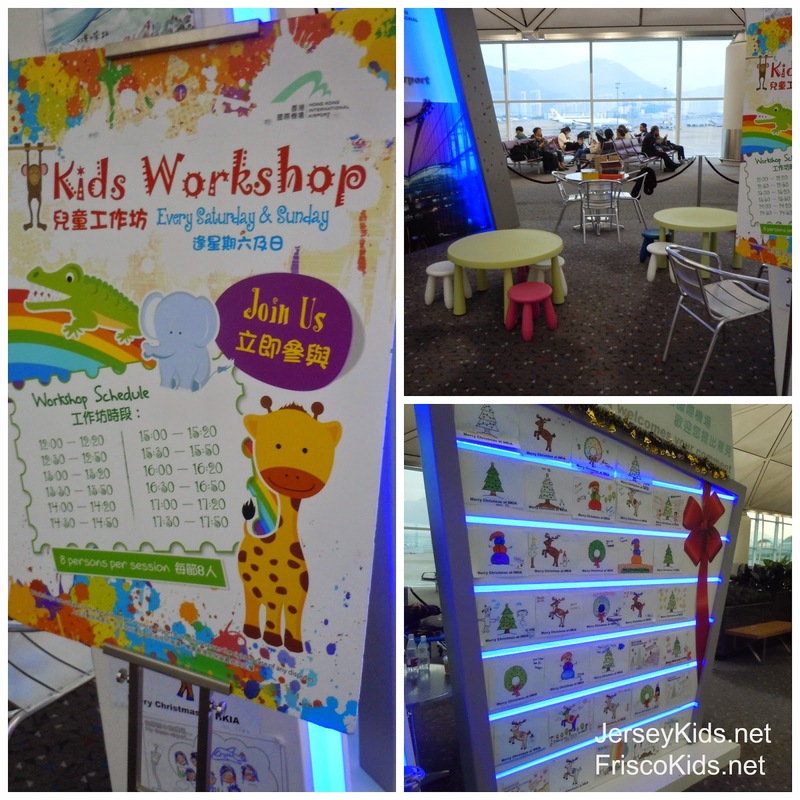 Here are my top 7 things to do with kids in the Hong Kong International Airport. 1. Kids Workshop - They had a cute area set up for art programs with the kids. These are limited to weekends (Saturdays/Sundays) and you have to sign up because as you can see, space is limited. 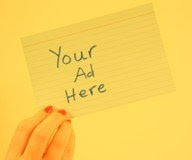 The workshops are free. This was in the main concourse - I don't know which gate. 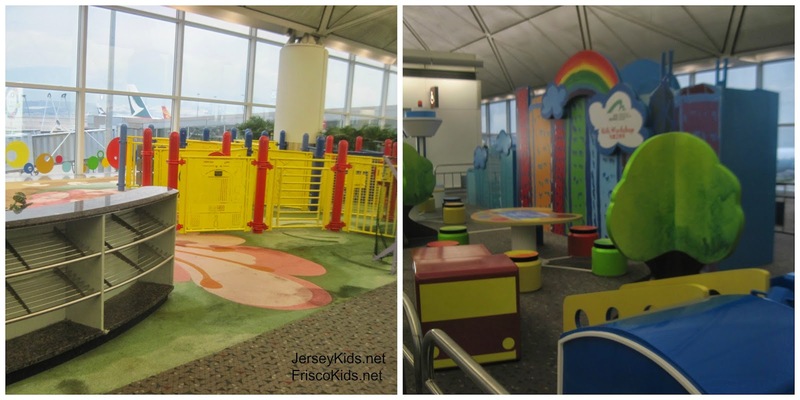 there were several play areas at the airport. The first time I was there I didn't see anyone in the one on the left (I did on my return), and I didn't see anyone using the one on the right on either trip. These are between gates 23-25, and there are several spots in the airport with big TVs showing cartoons - where kids can sprawl out on the floor. 3. Computers and charging stations - the Hong Kong International Airport has free wi-fi. You'll find charging stations like the one below in a few areas. They also have computer kiosks set up, as well as tablets for personal use. 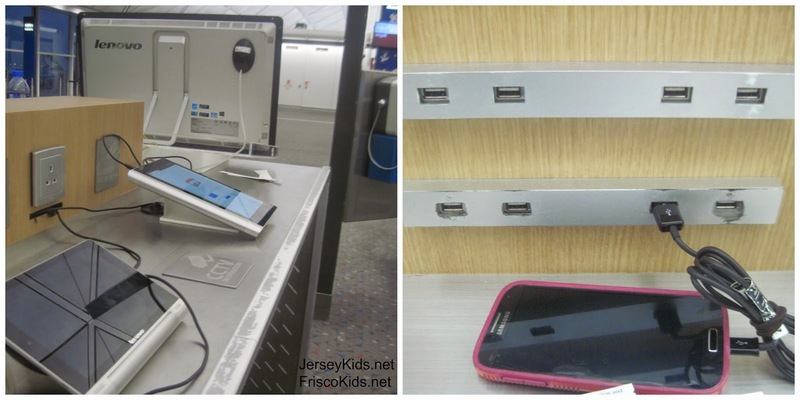 The tablets and computer below (left side) belong to the airport, and a charging station is part of that island. The computers were scattered around the terminal. 4. Shopping - I'm one of those people who love airport shopping even though I rarely buy anything. 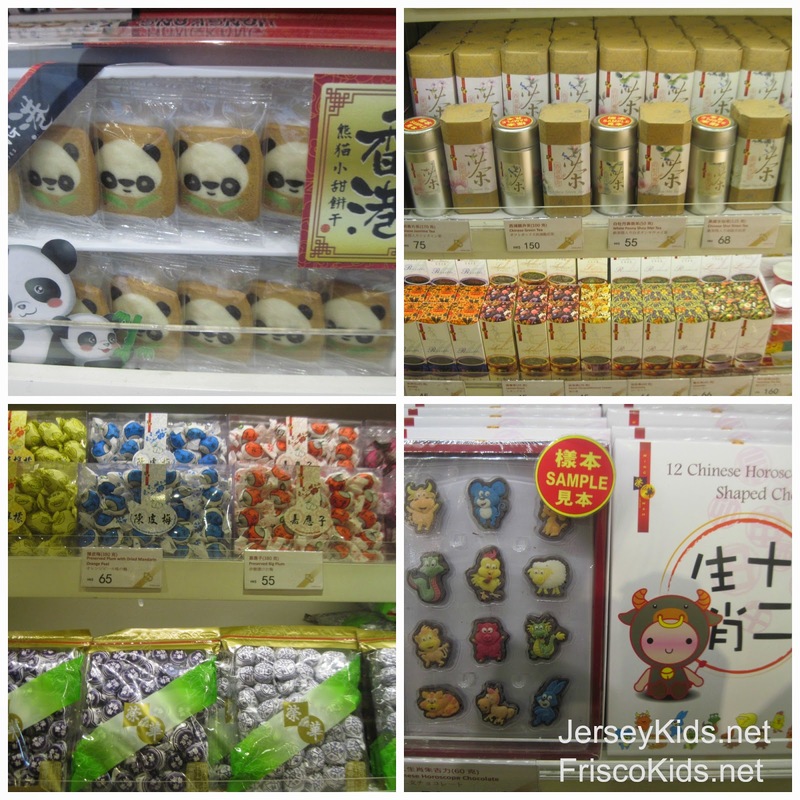 It's fun to shop in other countries though, and I found some great food and tea items in one of the Hong Kong International Airport stores. Bonus - they take credit cards even for small purchases. I got some beautifully boxed cookies to bring back as gifts, as well as some snacks for my family at the store below. Note that many stores won't allow you take pictures - I snuck these in. 5. 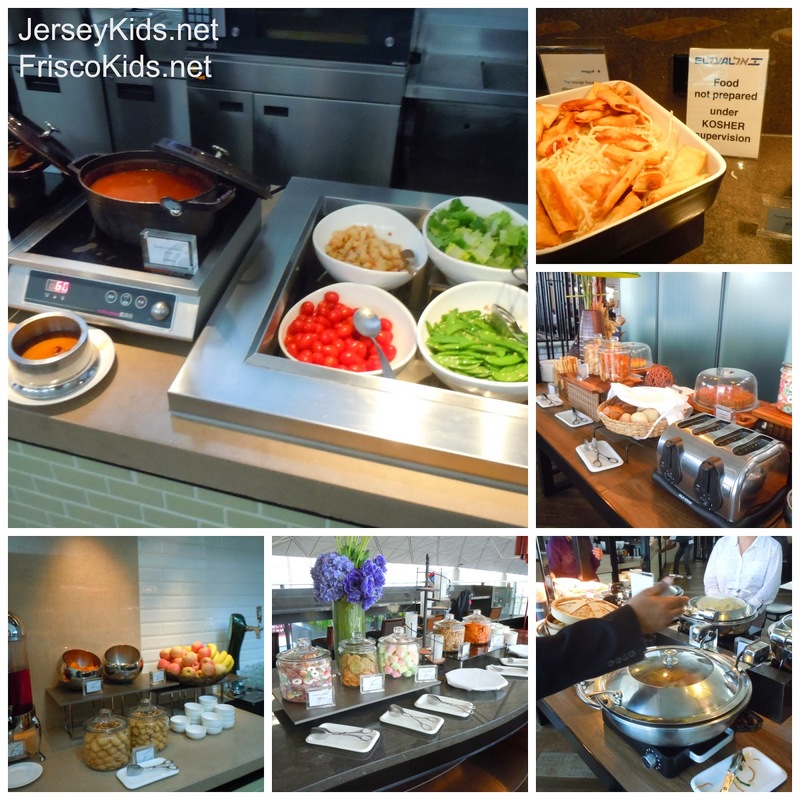 Eating - Another fun thing to do with kids in the airport - eat! 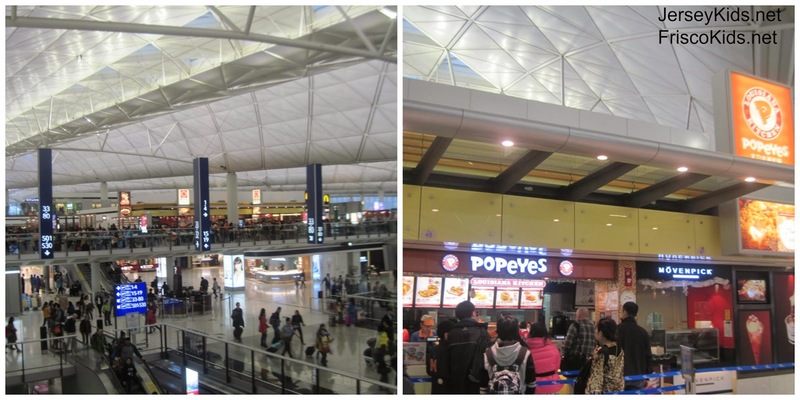 The Hong Kong International Airport had a variety of restaurants, from sit-down dim sum to Western fast food (like the Popeye's below, as well as spaghetti, pizza and McDonald's). Most of the restaurants had photos of the food, which makes it easier to decide what to get. The upper level has the food court with a lot of places to choose from. 6. Explore - It's fun to just walk around and explore to see what's different from what you know. 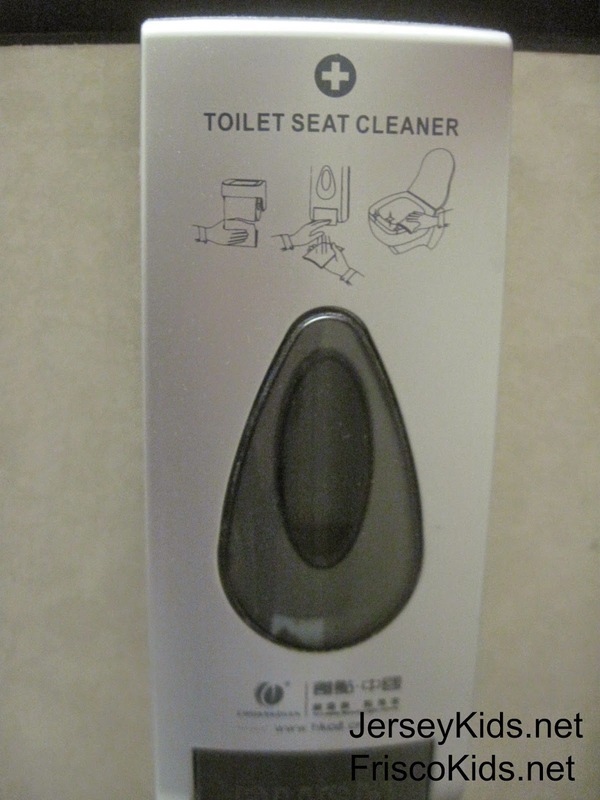 Here in the bathroom, instead of toilet seat covers, I found a toilet seat cleaner. You pump this cleaner onto toilet paper to clean the seat before using it. Use a pay-in lounge at the airport - this one is in the main shopping area. 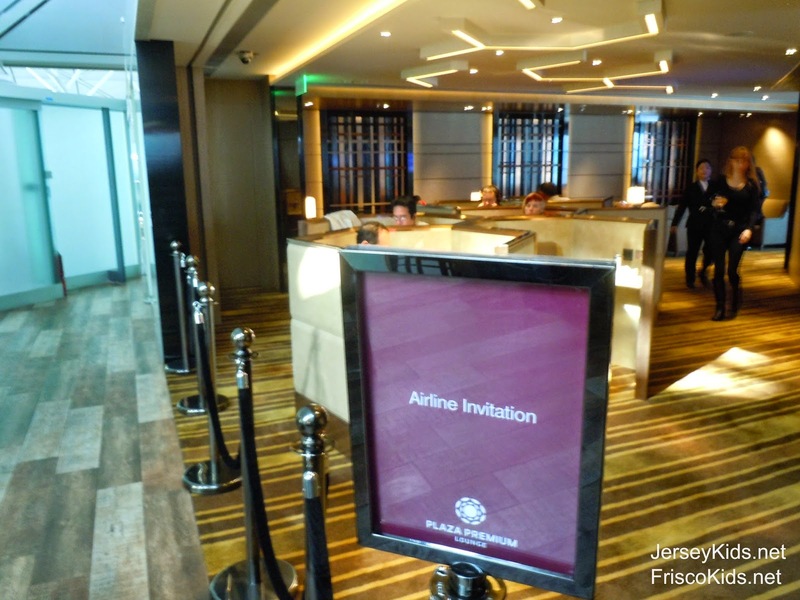 The Plaza Premium Lounge serves guests from a number of airline programs and credit card programs. You can also buy a pass to use by the hour (it's not cheap). I did not see any kids at the lounge (and it was a very hushed environment) but I didn't see any signs prohibiting kids. You can make a reservation online, which is suggested since if it's too full they can turn you away. Comfortable chairs overlooking the airplanes. Included in your time there is a 15 minute foot or back massage at the nearby spa affiliated with them (you can get spa services without visiting the lounge - it's a la carte). Unfortunately while I saw the spa, they didn't offer me this service, so I can't comment on the quality or experience. But the spa was lovely. The lounge is open 24 hours a day and has fresh food available. They had several stations including hot foods (noodles, soup), fried snacks (pakoras, spring rolls), snacks (candy, chips, nuts, fruit) and breads. The lounge at gate 40 is known for its Hong Kong Style fish ball noodles (soup) with XO sauce. The first class area has a smaller selection of food and a bar, though you can only get alcohol if you're in that area (they seat you in various sections depending on your affiliation with the lounge). They also had some amazing looking desserts in the bar area that are special for those guests. Each section of the lounge was for different guests. The lounge has bathrooms with showers, if you need to get clean. The showering room was really nice. You can see a picture of it in the bottom left corner of the photo below. They also had computers you could use, and departure information on digital screens. They don't make boarding announcements in the lounge, so you need to pay attention. As a guest, you have access to a wide variety of international magazines and newspapers. 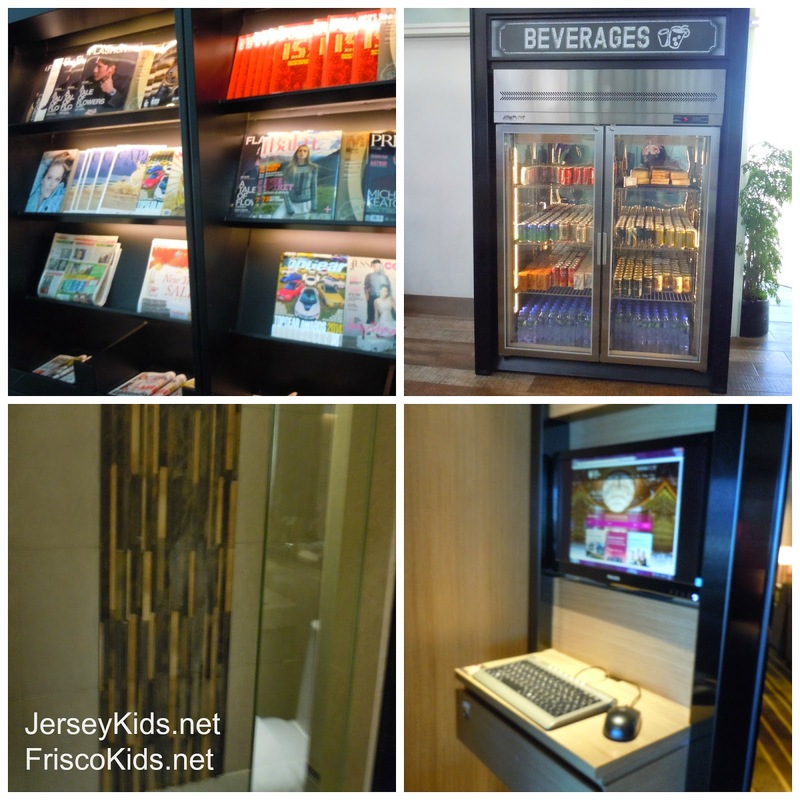 They have a beverage cooler, though you're not supposed to bring drinks out of the lounge. And FYI - even though I was past security, airport staff was checking bags before I boarded at the gate. They were confiscating any liquids - just like they do at the main security check, claiming it was a TSA rule. 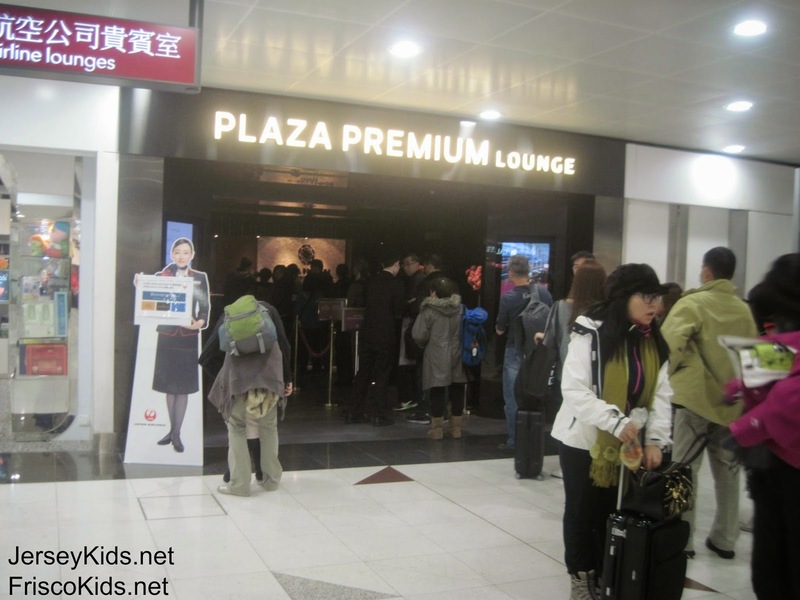 If you're looking for more information on amenities at the airport in general, the website Sleeping in Airports has a great guide to the Hong Kong airport.